Being a mother can mean many things. 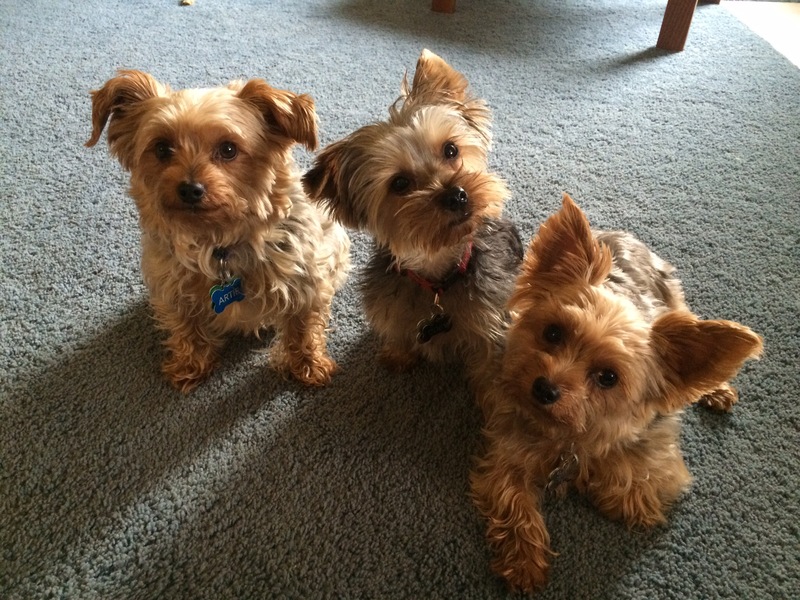 For me, being a mother means caring for my three Yorkie babies. After many years of infertility treatments (and the emotional ups and downs), I’ve come to terms with the fact that it’s not human babies for me, rather it’s canine babies…three of them! Some people tell me that canine babies are more work than human babies. I personally don’t believe it, although if it’s true, then I’d rock being a mom to children. Yes, dogs are work, but most of their training takes place at a young age. Human babies need training their whole lives! Children are continually learning from their parents, therefore, a parent’s job never ends!! Even after they become adults and leave the house, there is still training and learning taking place. I know I am missing a part of life that many women get to experience, but God’s plan was different for me. It hasn’t always been this easy for me to face that fact, but time heals all wounds. The part that still bothers me has to do with aging. Who will take care of me (and my husband) when we age? As people age, the roles switch and children begin taking care of their parents. We all know that dogs love unconditionally but they are not physically capable of caring for humans. Again, God has a plan and I can’t worry about the future. For those of you who are mothers in any way, I want to wish you a Mother’s Day full of love, laughter, and relaxation!!! Most of all, I hope you feel appreciated every day of the year! Thanks for all you do! Check out these 12 signs that your dog is basically your child. All 12 signs are fitting for me! Everything happens for a reason. You are touching the lives of three precious cutie pies! I wish I could teach my dogs to clean up their toys. It is probably possible with lots of time and treats! You are a strong woman and your story is uplifting. Rock that mothers day with your fur babies!! Thank you. It was a nice day. You can’t leave human babies alone when you head to work! Thanks for sharing your story. Your little doggies are soo cute. I think little dogs are actually MORE work than bigger dogs (speaking from my experience). But I don’t think they are more work than kids, but just as equally fun and cute! I’ve never had a big dog so I have nothing to compare to. Thanks!